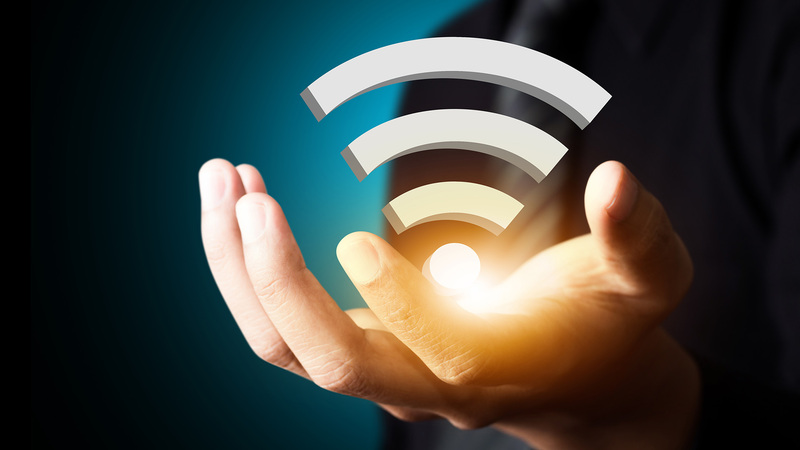 What’s the password to your Wi-Fi network, anyway? Whether you’ve changed the default password or not, it’s simple to find it. You can look up any Wi-Fi network password if you’ve previously connected to that network from a Windows PC or Mac. Modern Wi-Fi routers — and the combined router/modem units offered by many Internet service providers — come with a default Wi-Fi network name and pass phrase. Each router has its own default pass phrase, and they’re random. To find the default passphrase, just find your Wi-Fi router and examine it. You should see a sticker somewhere on it that contains both the “SSID” — the wireless network name — and the pass phrase. If you haven’t changed the default pass phrase yet, you can connect use that pass phrase to connect. If you don’t see a default passphrase printed on the router itself, try looking at the documentation that came with the router for more information. You may be using an older model of router that used the same passphrase on all routers, or one that included an open Wi-Fi network. If you can’t find the router’s documentation, perform a web search for the model number online. If the router is using an open Wi-fi network or a default password that’s the same across every router with that model number, you should change it. If you’ve connected to the Wi-Fi network from a Windows laptop or desktop PC, Windows will remember that Wi-Fi network’s password. You can look up the Wi-Fi pass phrase on any Windows computer that’s currently connected to — or has previously connected to — that Wi-Fi network. To look up a Wi-Fi network password on Windows, open the Control Panel and click “View network status and tasks” under Network and Internet. If you have a Mac that’s currently connected to the Wi-Fi network or previously connected to it, you can also look up the password on that Mac. Both Windows and Mac allow you to view this information — mobile devices like Android smartphones and Apple’s iPhone and iPads don’t allow you to view Wi-Fi network passwords, however. To find the Wi-Fi password on your Mac, press Command+Space to open the Spotlight search dialog, type “Key chain Access” without the quotes, and press Enter to launch the Key chain Access app. After you do, your Mac will show you the Wi-Fi network’s pass phrase. Accessing your router’s web interface and sign in with the current username and password your router requires. Look through the router’s interface for a “Wi-Fi” or similarly labelled section. You’ll see the current Wi-Fi passphrase displayed on this screen, and you can also choose to change it to anything you want from here.